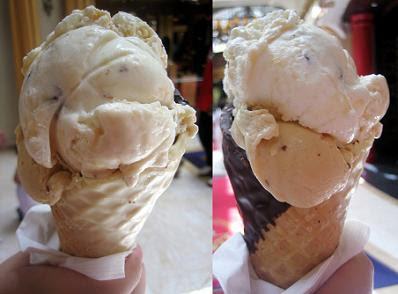 Kat's 9 Lives: Sugar & Ice : Do They Know What Gelato Is? After a hot meal for lunch, we wanted to get something nice and cool for dessert. I had did some research before we went to Vegas and there were a few places that popped up as good dessert places. Well... they LIED! We happened to be at the Wynn in Las Vegas because our Dad wanted to check out the hotel. I told Ms. Lin about Sugar & Ice that's located there that's said to have good desserts. We decided to give their Gelato a try. She chose the Caramel Stracciati and I decided to get the Peanut Butter Cup Dream. At first I wasn't going to get that flavor because Ms. Lin's not a huge fan of peanut butter. Luckily she told me to get what I liked because what she got was bland and icy. The peanut butter flavor was actually much better. I have to say that Vegas keeps disappointing me with their Gelato! The place we tried in the Venetian last time, which I will eventually get to posting O=), was horrible too. There wasn't any intriguing flavors that looked appealing that day either. Thanks for the tip - I'll make sure to avoid this place! Wynn used to have a great macaron place but unforunately it has closed. Next time you're in the Bay Area you should check out Ciao Bella (in Ferry Building) or Gelato Classico (Mountain View and possibly other locations). Both are really good! Ha ha thanks for the recommendation! 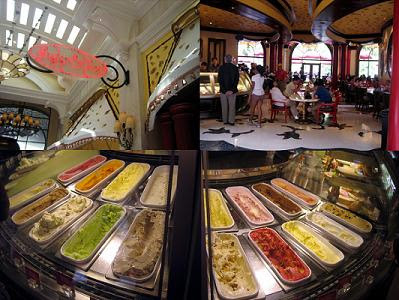 I have been to Ciao Bella, but I will have to try out Gelato Classico! Ever since Paris, I have been hunting for great gelato! Have you ever been to Amarino's in Paris? The best! We didn't get any good gelato in Florence or Venice that could compare! Don't stress about blogging every day!!! You should definitely get your beauty sleep. We were just noticing a big gap when you were gone for 4th of July weekend. 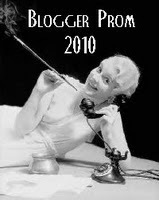 :) You know how inconsistent I am with blogging (I also get the feeling that you never visit...?). We just want to let you know that your blogs are eagerly read when available. Aww thanks! 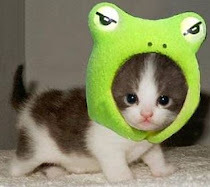 I am just going to do a short blog today since it's 6:40AM already. Thanks for always reading! ^_^ We didn't have internet there so I couldn't blog at all. I have seen your blog a few times. I wasn't sure if I'm suppose to read it so I just glance at it when Ms. Lin talks about it. I also agree with the OP. This place is terrible. I went in May 2009 and I was so disappointed that a classy hotel like the Wynn would allow such a terrible store like this to operate. I also recommend not to go here.